Europe, with its rich history, beautiful architecture and spellbinding art is a cultural and touristic hot-spot, luring in travelers from around the globe. 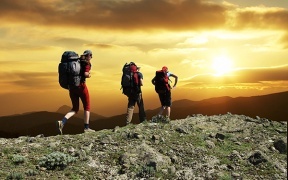 The European outdoors offers some of the best hiking trails in the world and, with so many great options to choose from, it can be an overwhelming choice. We've compiled a list of the best hikes Europe has to offer in an effort to save you time when planning your next European adventure. 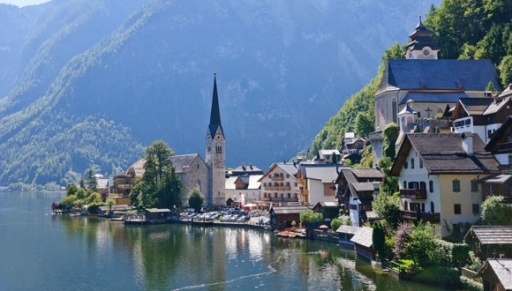 A well-known resort area in Austria, the Salzkammergut Region extends from Salzburg up to the Dachstein Mountains and offers a plethora of routes for walks and hikes. A hiking trail across this region will take you along some magnificent lakes and there are even routes that lead high up to the mountains. A walking holiday here gives you a unique experience amidst lakes, mountains and other spectacular natural views. One of the most popular destinations in European travel itineraries, hiking trails across Cinque Terre take you across the five fishing villages of Riomaggiore, Manarola, Corniglia, Vernazza and Monterosso al Mare. The exclusive Blue Trail or the ‘Sentiero Azzuro’, as it is better known, is spread across the stony Liguarian coastline and will take you through vineyards, offering exclusive views of nearby towns. Every hiker is bound to get enchanted by the romantic spell cast by the wild herbs; the sun and the slow but steady Mediterranean.